The Gifting Pot, founded by Lyn Uniewicz (me!) in 2018, provides the ultimate in quality gifts that are ideal for corporate, business and personal needs. 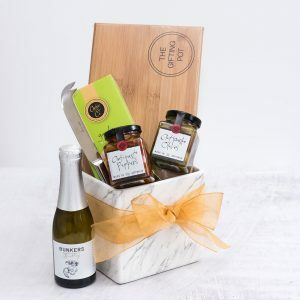 Having always loved giving gifts, I’ve become known as The Inspirational Queen of Gifting and I adore spending time sourcing just the right items to go into each Gift Pot to create the an ideal experience for the lucky person you’re gifting it to. I have a range of Gift Pots available to suit many types of gifting needs and where possible include only Australian made products. Well every one of our gifts starts with a garden pot and a branded packet of garden seeds. 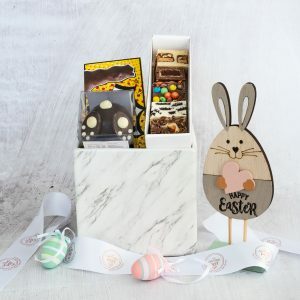 Instead of the usual throw away box or basket many gift solutions come in, I wanted to provide a way for the gift you select and lovingly give, to keep on gifting. That is why we refer to all of the Gift Pots as “The Gift That Keeps Growing”. Searching for something unique and special for your friend, family member, colleague or client? Fabulous, I look forward to being able to provide just the right gift for you to pass on to mark a special occasion, say thank you, get well or you matter! “So happy that I chose The Gifting Pot for my daughters birthday, from ordering & ease of payment to delivery perfectly on time to the most important thing the variety & amazing quality of the many gifts in the Gifting Pot. It is obvious that so much thought & preparation has gone into the selection of the high quality products & my daughter’s style was captured perfectly I couldn’t have done it better myself, which is exactly what you want when sending a special gift. 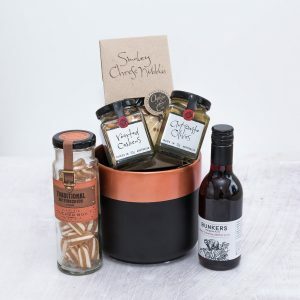 While we have a range of ready to purchase gift pots, we are also able to consider special requests to tailor the products in your Gifting Pot to meet the needs of the lucky person you’ll be gifting it to. When you order via the telephone or online via our shop, be sure to add any details for us to consider to make your Gifting Pot that extra bit special. We’ll be in touch to clarify your order and get your Gifting Pot made and on its way to you or your recipient. Our Gift Pots are available across the Perth metro area and delivery is low cost, or you can select to pick up and save yourself the delivery fee! How great is that? Just another little way we aim to deliver on our promise of quality product and experience. It can take a lot of effort to find just the right thing to give as a gift to recognise a special occasion in someone’s life. Be it a birthday, milestone, celebration or other reason to tell someone you care, our speciality is making gifting as effortless as possible for you. Our gift pots are filled with quality items, sourced locally in Australia wherever possible and we love including the finest things we can find. Our Delivery Promise: If your order is placed via phone or online by 10 am we will deliver across the Perth metropolitan area by close of business the same day, weekdays only. 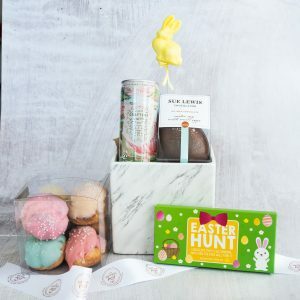 Known for spoiling those she loves and appreciates with the most thoughtful gifts, it was no surprise to her family and friends when Lyn decided to combine her creativity and adoration for quality products to bring The Gifting Pot to life. Providing a valuable alternative to gifting solutions available in Perth, The Gifting Pot has something for everyone. Ideal for personal and corporate gifts for those you want to celebrate! Have fun shopping.